Road to Qualification: World Cup 2011 Semi-Finalists (3rd Place). Consistency in the halves – Cooper, Foley, Phipps and Genia can all have shockers. Wallaby coach Michael Cheika has a very particular system of attack, which relies on big carries over the gainline and lightning quick ball. When the juggernaut gets going, it’s very difficult to stop. Finally, after inroads have been made and defences have been sucked in, the ball gets spread out wide to the strike players in Israel Folau, Tevita Kuridrani and Adam Ashley-Cooper. With the inclusion of Wycliff Palu, Will Skelton and Kane Douglas in the World Cup squad, Cheika has shown his hand and has signaled that the Wallabies will be looking to stay the course. However, opposition teams have refused to play (Cheika) ball in recent times, and implemented targeted strategies to frustrate the Wallaby system and prevent it from getting any traction in the first place. This involves attacking the historically poor Wallaby set piece, and targeting the Wallabies at the breakdown, preventing them from getting quick ball (or any ball). The Wallabies World Cup campaign rests on their ability to prevent teams from frustrating them out of their system, especially in the set piece. 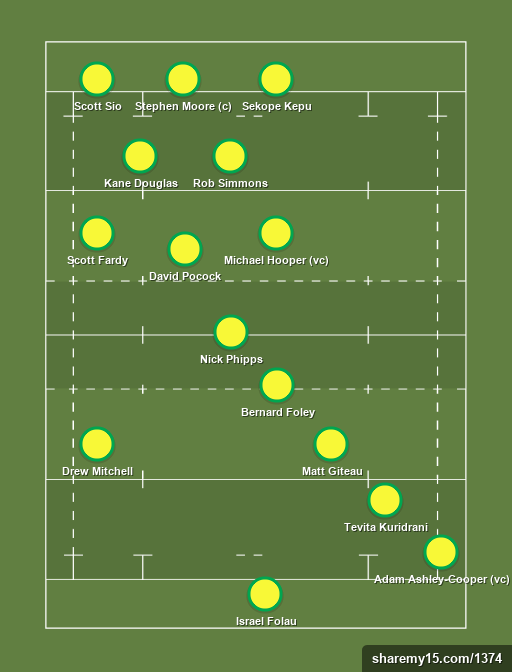 The often maligned Wallaby scrum found new strength in the Rugby Championship with the inclusion of Scott Sio and Greg Holmes, and may turn into a strength if opposition teams don’t come prepared. The Wallabies have struggled at lineout time however, with Will Skelton’s inability to jump limiting their options. Cheika may have to settle for big Will as an impact sub if he wants to start two of the best players in the world in Pocock and Hooper, whilst maintaining a working lineout. The biggest uncertainty would have to be who starts in the 10 jersey for the Wallabies. Both Quade Cooper and Bernard Foley have squandered numerous opportunities to nail down the spot, giving unconvincing performances in their respective starts at 10 in the Rugby Championship. With time running out, Cheika may opt to go with the seasoned Matt Giteau at 10 to ensure steady hands at the helm.